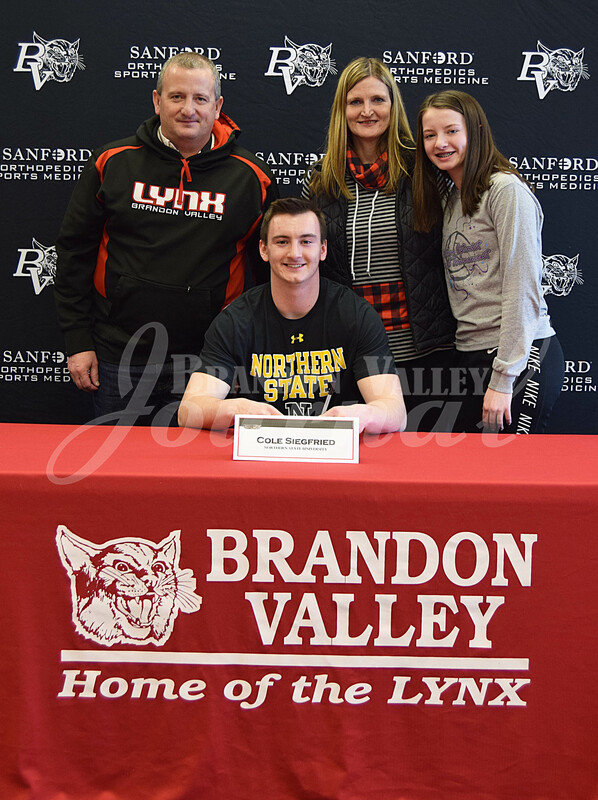 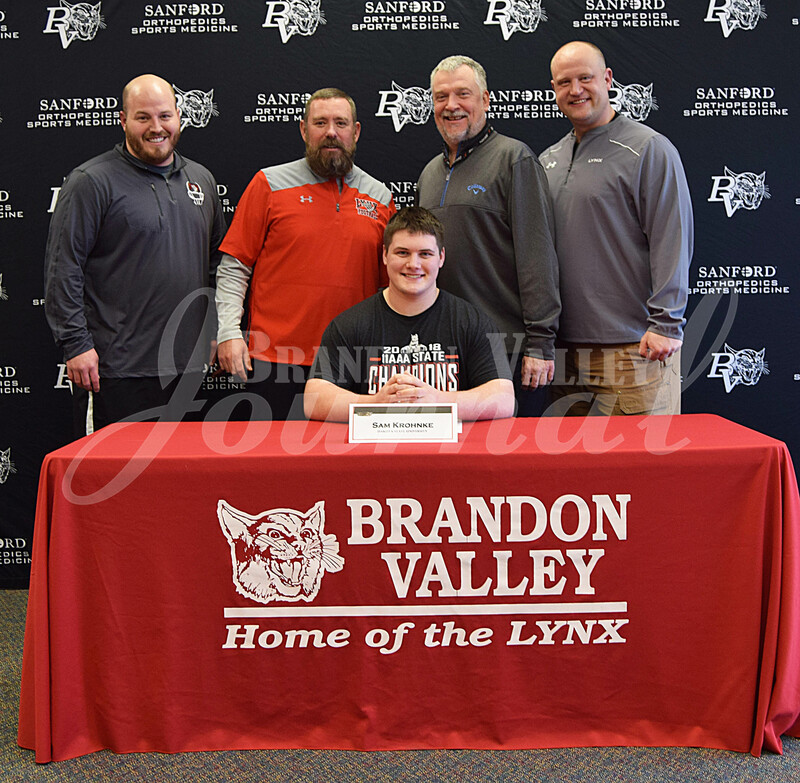 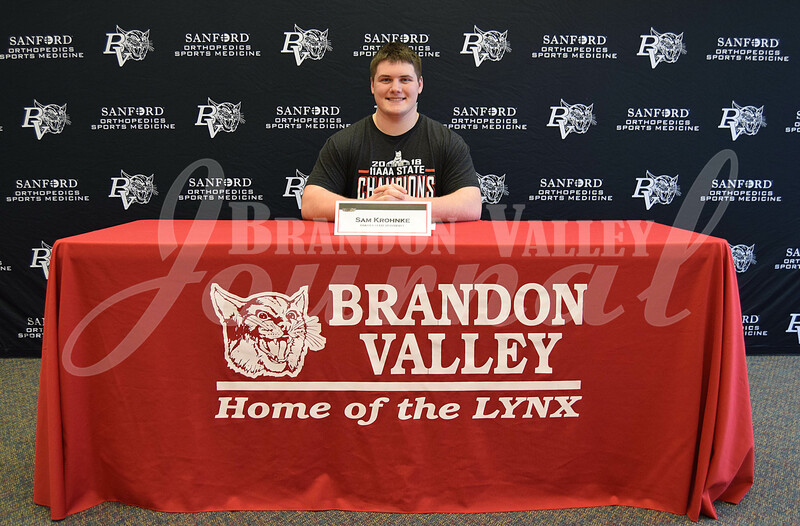 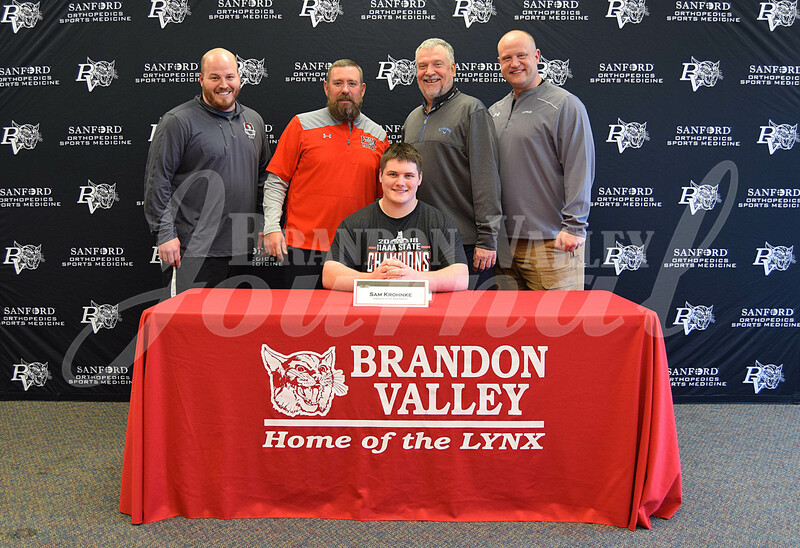 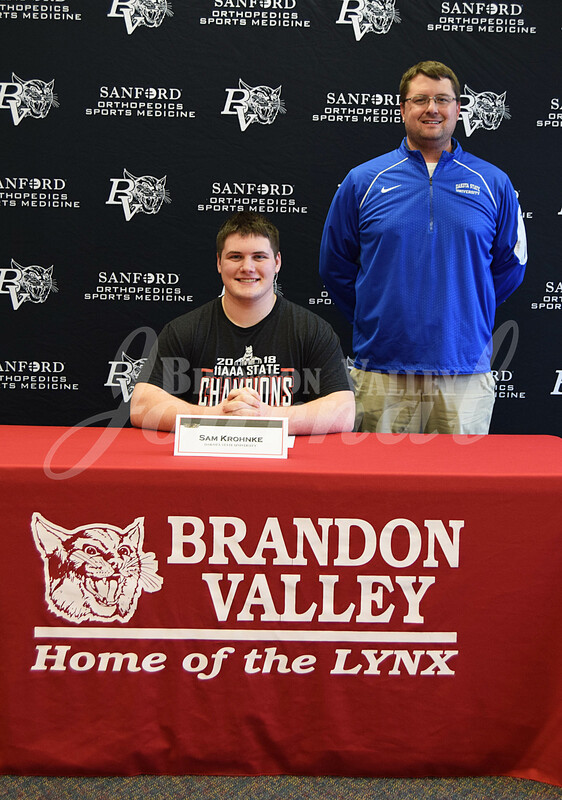 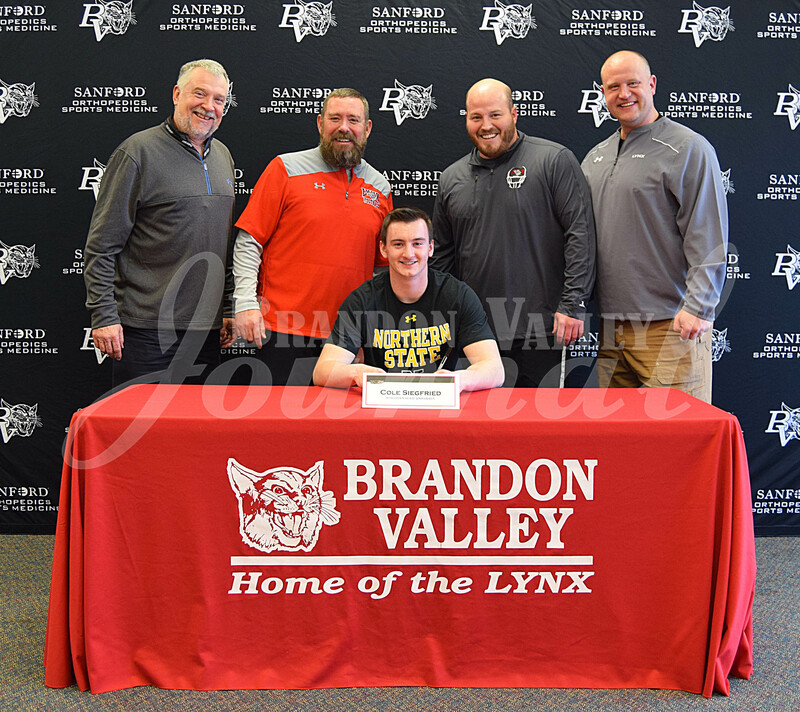 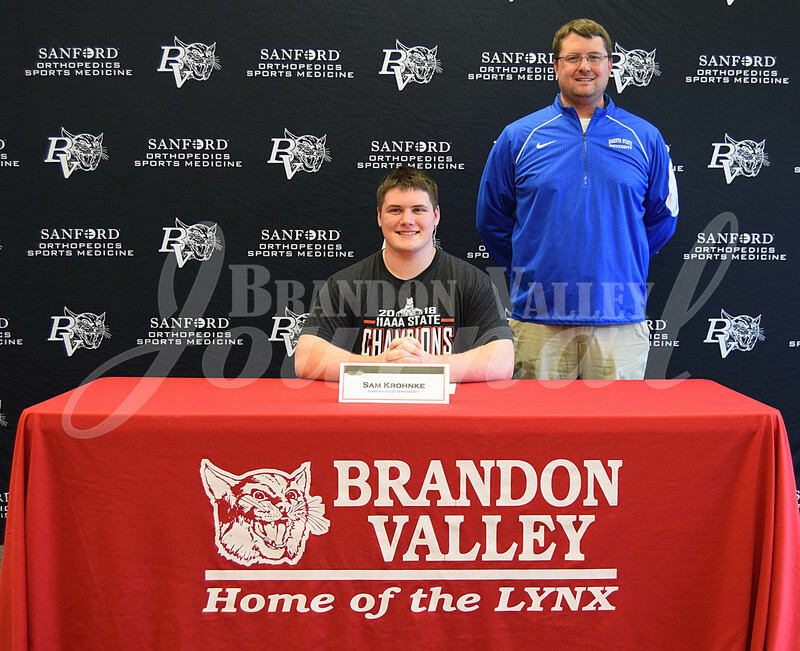 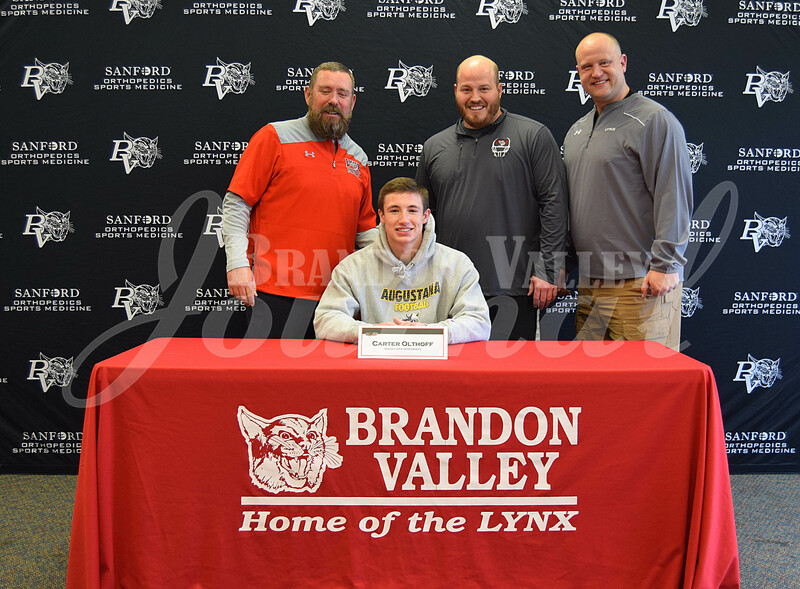 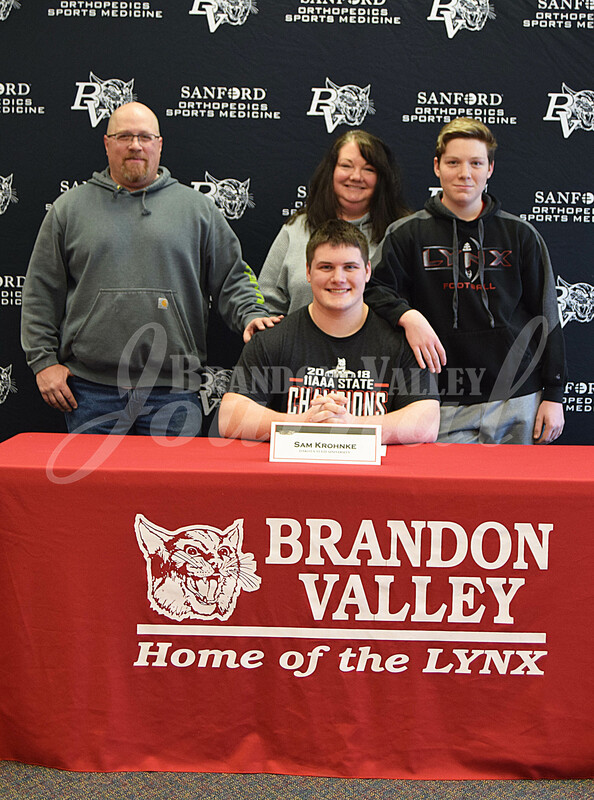 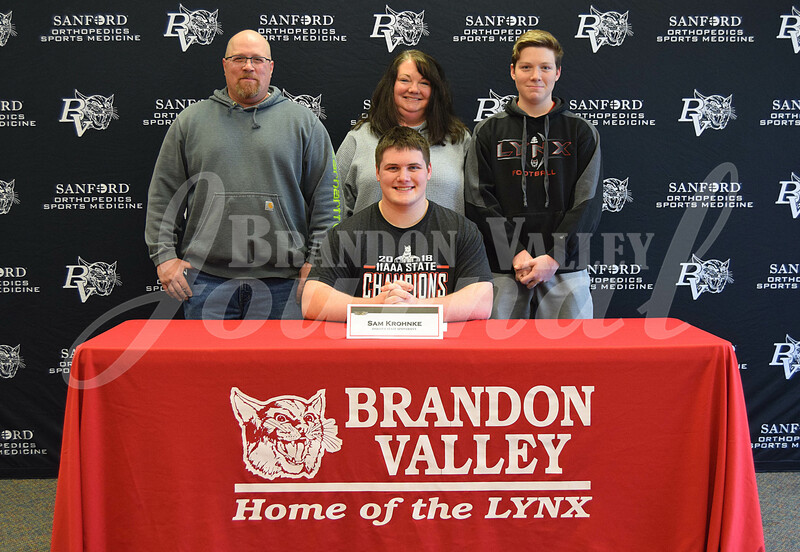 There’s football in the future for three members from Brandon Valley’s 2018 state AA championship team, and the trio made it official before family, teammates and coaches on National Signing Day. 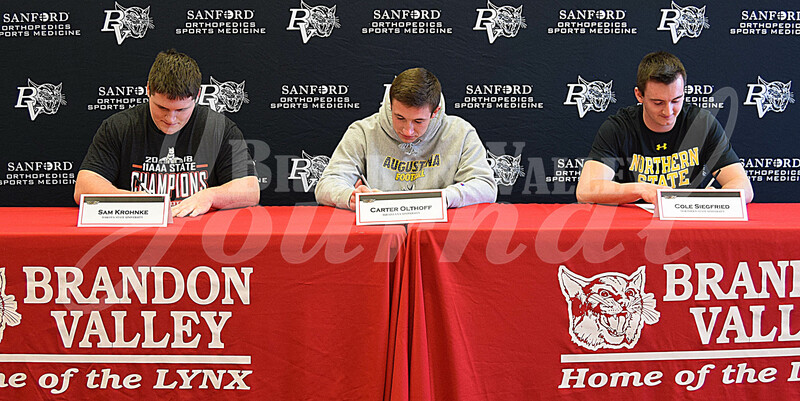 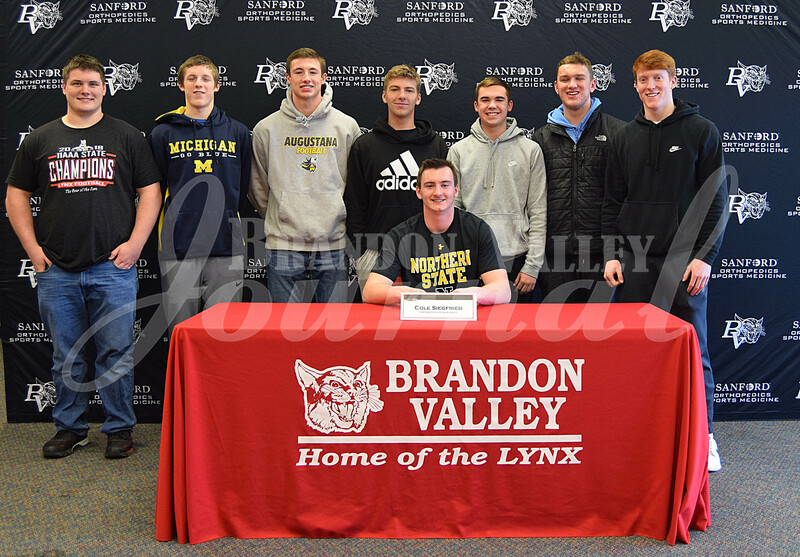 BV 2019 seniors Sam Krohnke, Carter Olthoff and Cole Siegfried inked their futures with three different collegiate programs. 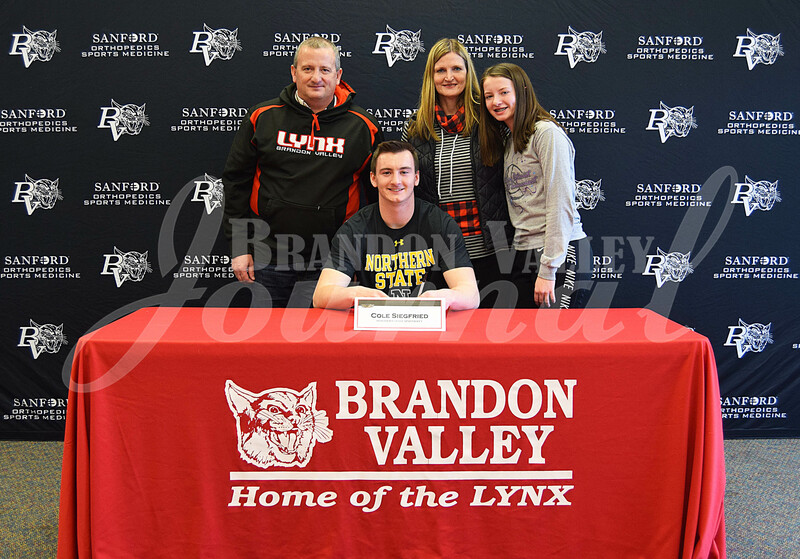 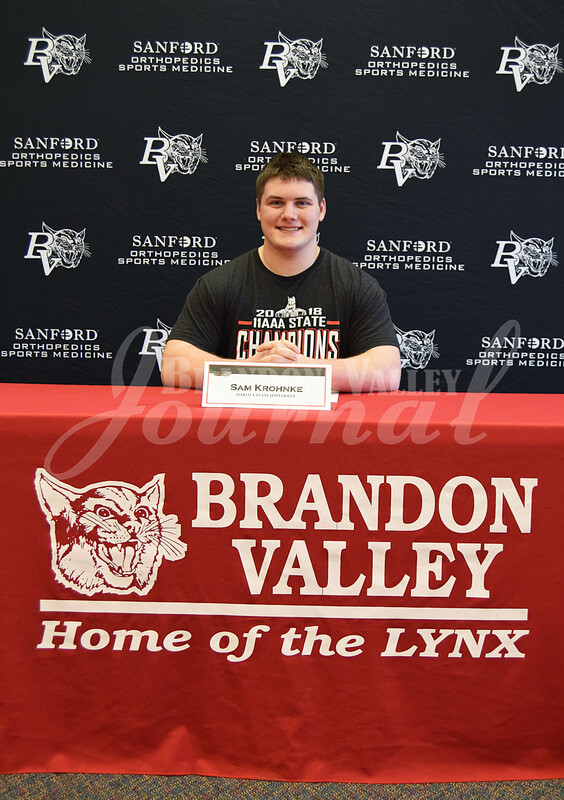 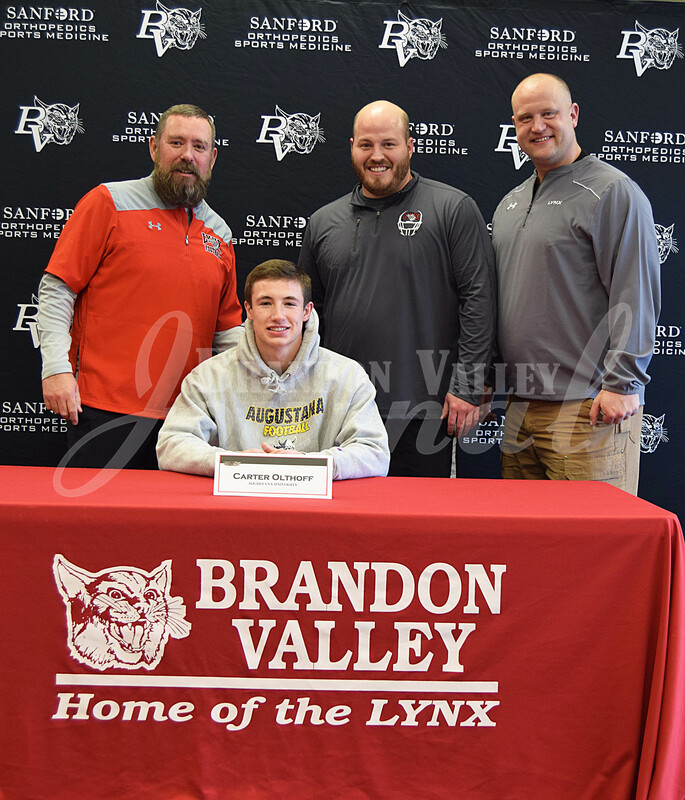 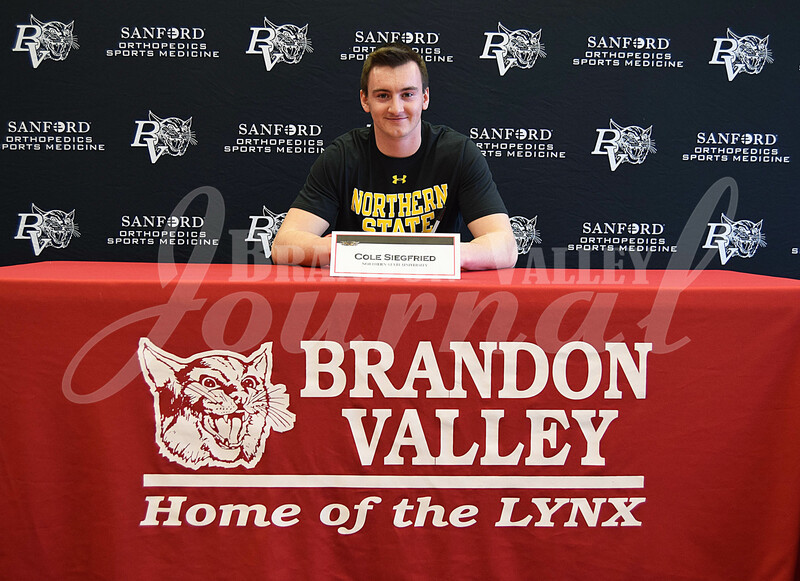 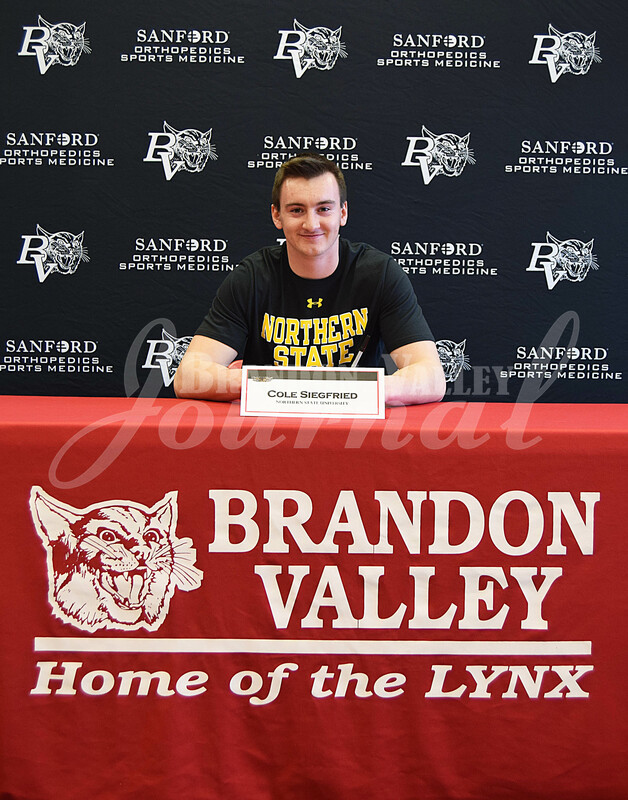 Kronhke is headed to Dakota State University in Madison, Olthoff to nearby Augustana University, and Siegfried will play at Northern State University in Aberdeen. 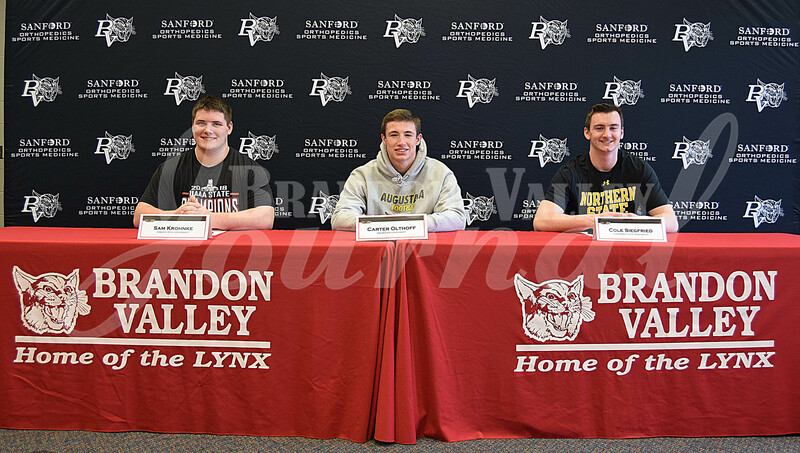 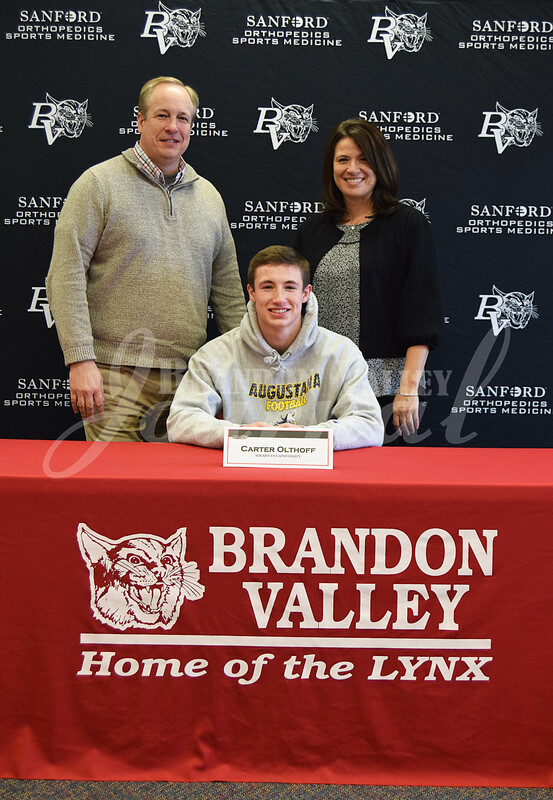 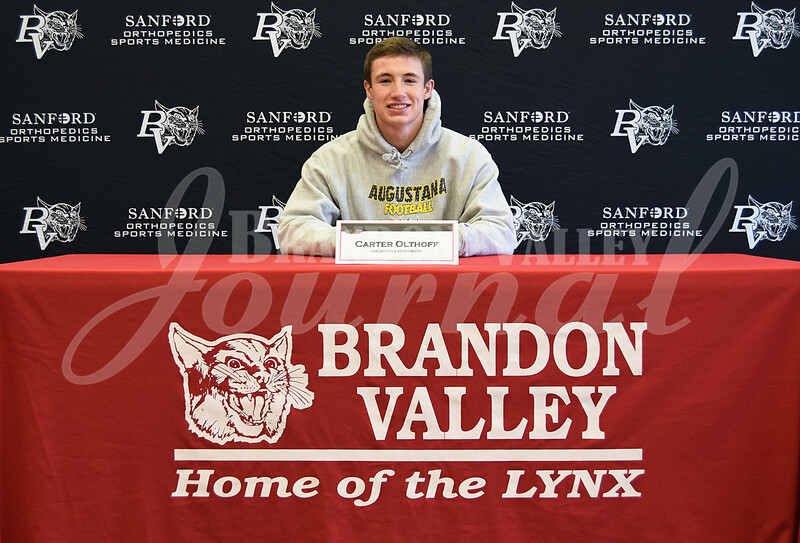 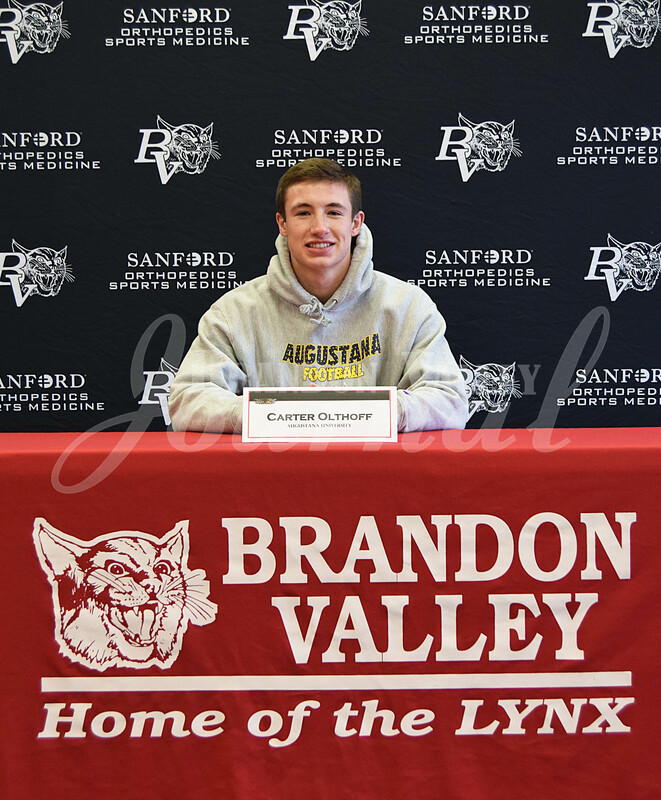 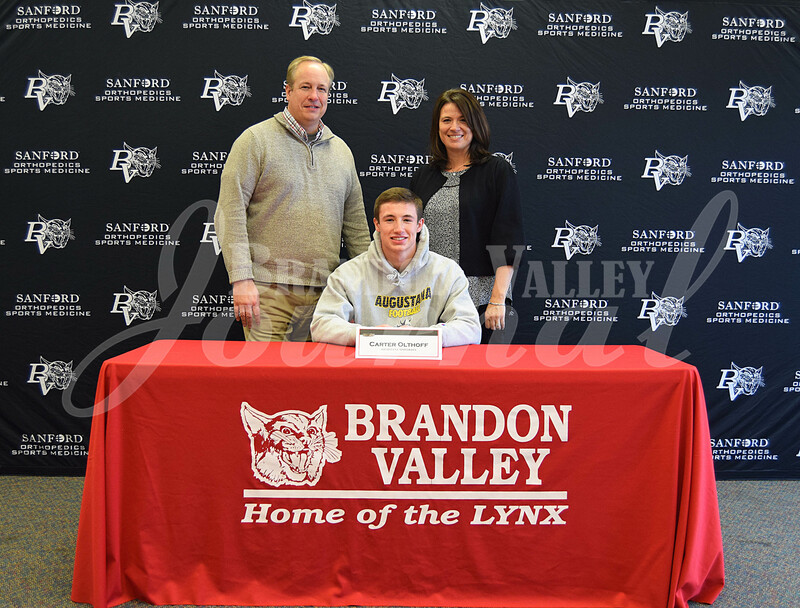 The trio of signees are highly regarded by BV coach Chad Garrow. 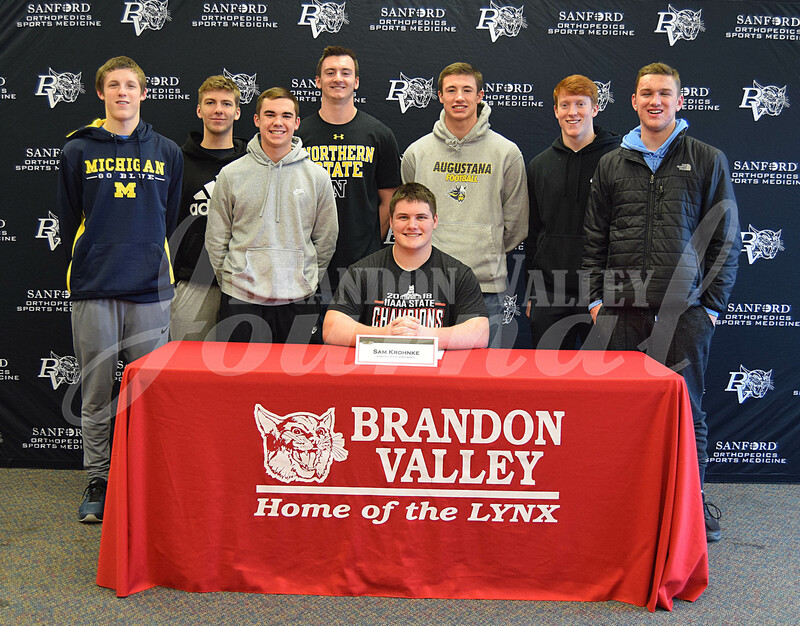 “That whole senior class, because they were in the Dome their sophomore year and in the Dome their senior year, for them to have that experience, it’s just great for them and hopefully it will continue on,” he said.